WLBC is hosting the OLBA District 1 Fours championships this Saturday. If you would like to enter a team, please contact District 1 chair, John Fantin, at jfantin@sympatico.ca. 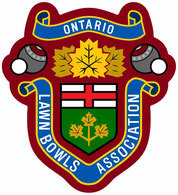 If you're not playing, you can still come out and watch some of the best bowlers in southwest Ontario. First game starts at 9:00 AM.